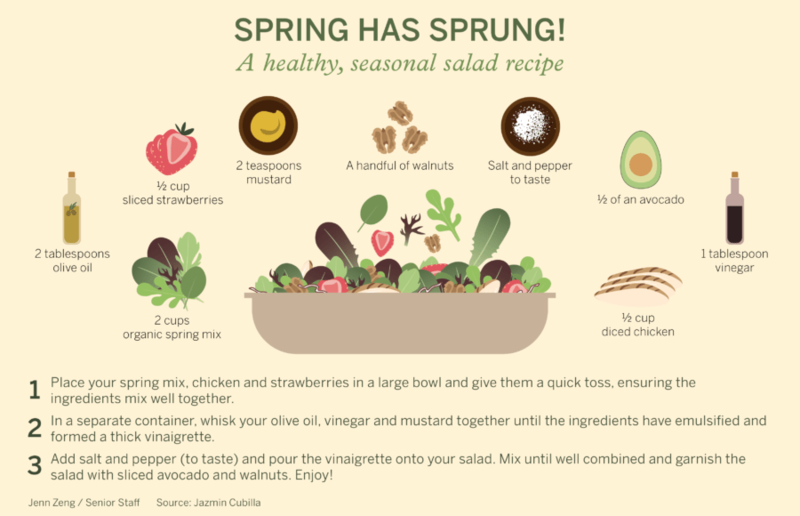 If you ever find yourself feeling bored of dining hall meals, remember to try out this quick and easy recipe for a springtime salad. September is self-improvement month and we at the Clog have a few very serious and not at all absurd self-improvements to carry out. Being alone couldn’t be further from being lonely. After all, you’re the one person who’s around during the good and the bad. Without your mom around to put green food coloring in the milk or pack you a green lunch, us diehards in the latter category are challenged to uphold the tradition of eating solely green food for the day. Sometimes (a lot of the time) lectures are a bit too boring to pay attention to, and before you know it, you end up scrolling through Facebook or checking your text messages. And while you believe you’re being inconspicuously sly, your actions are actually pretty obvious to those around you, including your professors.